Trolling plugs differ greatly in appearance and action, but share one common feature: their design makes them difficult to cast. Many have too much wind resistance, some tangle too easily and others are simply too heavy. Most trolling plugs have broad, flat foreheads that produce an exceptionally wide wobble. 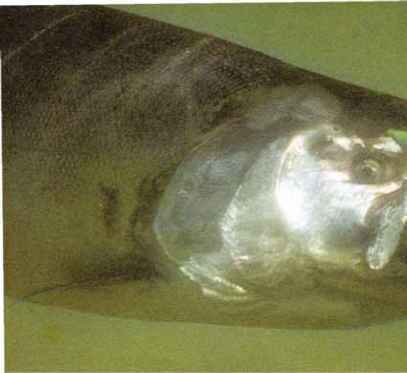 Some have lips or scooped-out heads that give them a nanower, crankbait-like wobble. A few have flattened faces, resulting in an enatic, darting action. Fishermen generally use trolling plugs to cover large open-water areas. Trolling plugs are not suited for working a target precisely because it is difficult to control their path unless trolling with a short line. When selecting trolling plugs, consider the depth at which they run and the speed at which they have the best action. If the fish are located within 20 feet of the surface, yon can choose a trolling plug that runs at the proper depth with no added weight. The best way to determine exactly how deep a plug will run is to test it yourself. Few plugs run deeper than 20 feet, so yon will need sinkers, downriggers or diving planes to reach fish below that depth. The speed and action fish prefer change from season to season and sometimes even from day to day. For consistent success, yom plug selection must change accordingly. Experienced trollers generally cany a selection that includes speed-trolling plugs, which attain their best action at speeds from 5 to 7 mph; slow-trolling plugs, which reach peak performance at only l to 2 mph; and plugs which operate best at intermediate speeds. [email protected]; (22) [email protected]; (23) Swim WMzz; (24) [email protected]; (25) Tomic; (26) Witch [email protected]; (27) BelieverTM; (28) Dandy-GloTM, which has a hollow body for holding a [email protected] lightstick; (29) Little Mac TM. Trolling with plugs may not be the most exciting fishing method ever devised, but it is certainly one of the deadliest. Trolling is the best technique for exploring open water and enables you to keep your plug at a selected depth indefinitely. Because they work best in open water, trolling plugs are most effective for salmon, trout and striped bass. 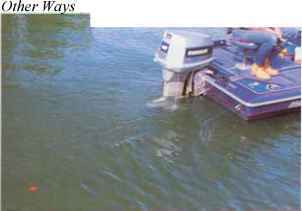 When fished along edges of cover, like weedlines, trolling plugs will also take walleyes, bass, northem pike and muskies. If you simply let out your line and motor about at random, you stand little chance of catching fish. Plan your trolling route so that your plug seldom strays away from likely cover, structure or a precise temperature layer. 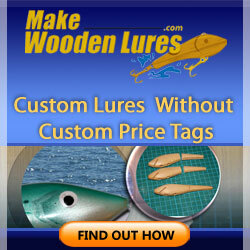 Fishermen use a wide variety of electronic aids to help them catch fish with trolling plugs. Flashers and graph recorders are invaluable for determining the proper depth. Try fishing at different levels and note the depth immediately when you hook a fish. Chances are there will be more fish at the same level. A water temperature gauge helps locate fish, like salmon and trout, that have very specific water temperature preferences. 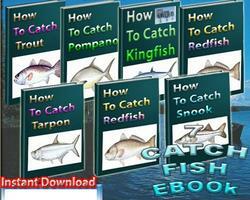 You will greatly improve your odds of catching fish by keeping your lure in the preferred temperature layer. Trolling speed indicators help you keep your plug moving at the speed that produces the best action. Downrigger fishermen sometimes use sophisticated water temperature-trolling speed monitors that provide readings at the depth the lures are running. Readings taken at the depth of the lures are more meaningful than surface readings. Temperatures at a particular depth often change dramatically as you troll. And cunents on the surface may differ greatly from those in the depths, giving you a false idea of how fast your lure is moving. Many anglers make the mistake of trolling too far off bottom in an effort to avoid snags. Unless fish are suspended in a specific temperature layer, you will usually draw more strikes by trolling deep enough to make your plug dig sand or bounce off rocks. Another common mistake is trolling at the same speed regardless of the plug. Different plugs run best at different speeds, and the only sure way to find the best speed is to experiment. When using multiple lines, remember to use plugs designed to run at the same speed. Multiple lines enable you to compare different actions, colors and sizes. If one plug begins to produce, attach similar plugs to all the other lines. Trolling rods should be stiff enough to withstand the strong pull of the plug, but they need not be sensitive. Downrigger rods should be at least 71/2 feet long and flexible enough to bend into the set position. Speed-trolling rods should be very stiff and no more than 5 1/2 feet long. Level-wind reels are a better choice than spinning reels for most trolling situations. They minimize line twist and make it easier to return your plug to the right depth. CHECK your speed with an electric trolling speed indicator. The meter measures the rate at which water passes by an impeller on the underside of the boat, registering the exact speed to the nearest l/lO rnile per hour. NOTE the color when you hook a fish while using metered line, then let out to that color again. Most metered lines change color every lO yards. MARK your line with a waterproof pen when your plug is at the proper depth. Then, stop at the same mark when you let the plug out again. COUNT the number of times the levelwind passes back and forth when letting out line. Use the same number of passes the next time. What is the best trolling speed for trout? What is the correct trolling speed jplug? How to determine the proper trolling speed for lures? How do you determine the exact depth your lure is running? How to determine depth when trolling? How to measure how deep your troll is? How to Troll a plug on the surface? How do you make wooden trolling plugs? How to rig artificial lure for trolling? How to calculate how many feet out of line when trolling? What is different about lucky louie plugs salmon plugs? 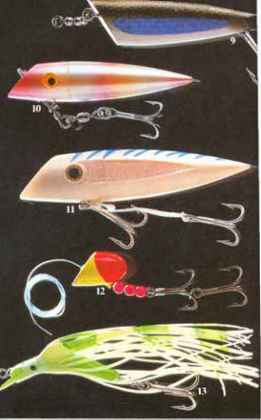 How to determine lure depth when trolling 4mph for muskies? HOW TO TROLL WOODEN PLUGS? 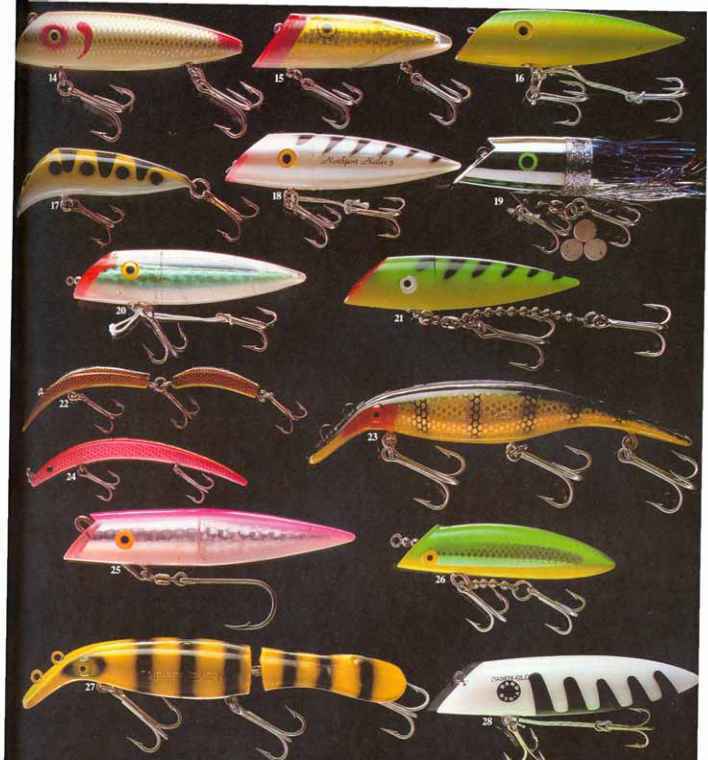 How to rig and troll large artificial lures? How to rig a lucky lewie? How to rig a lucky louie plug?